Wärtsilä has been awarded the contract by Gdansk Shiprepair Yard Remontowa S.A., to supply a scope of engines, propulsion machinery, integrated automation systems, and gas handling systems required for the mid-life upgrading of two RoPax ferries and their conversion to operate on LNG fuel. 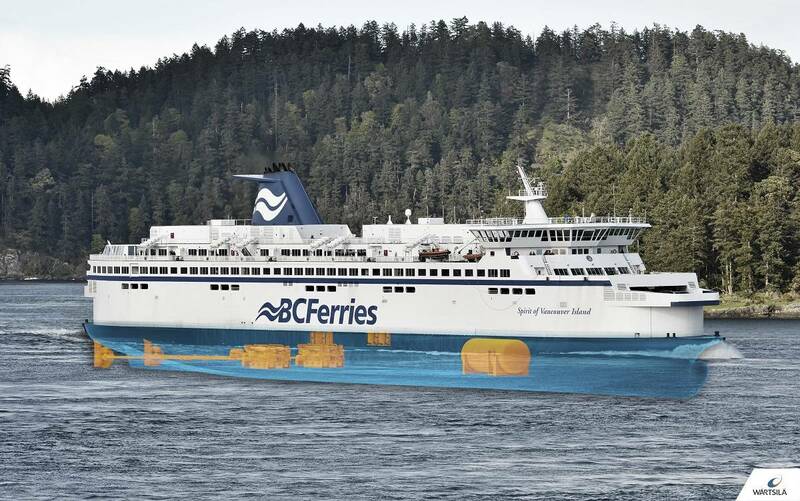 The ferries, the Spirit of British Columbia and the Spirit of Vancouver, are the flagship vessels of British Columbia Ferry Services based in Victoria, Canada. The work will be carried by the Remontowa Shiprepair yard in Poland. The contract with Wärtsilä was placed in March 2016. The work on the first of these ships will be carried out during the 2017/18 winter season, and during the following winter season for the second vessel. This means that the time allowed for completing the work is just seven months, including a delivery voyage of more than one month each way. The Wärtsilä equipment will be delivered to the shipyard in mid 2017 and mid 2018 prior to the arrival of the vessels. The full scope of Wärtsilä's supply includes four Wärtsilä 34DF dual-fuel engines with fuel gas systems, integrated automation systems and power management systems, the Wärtsilä Pro-Touch propulsion control system, the power transmission systems comprising two gearboxes, the Wärtsilä LNGPac comprising the fuel storage tank, bunkering station, gas detection system and process control automation, Wärtsilä rudders, site representation and integration engineering and crew training. The upgrading work will involve surveying the stern tube and renewing components, surveying and overhauling the controllable pitch propeller (CPP) hubs, redesigning and renewing the CPP propeller blades, surveying, renewing and overhauling the oil distribution boxes, and renewing two bow thrusters and E motors. 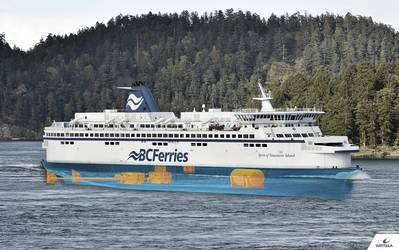 In December 2014, Wärtsilä was contracted to supply the dual-fuel machinery for three new ferries being built at the Remontowa yard on behalf of British Columbia Ferry Services.